The WDW Pensieve is happy to report that a side project of ours – Mad Hatter Radio – has now officially launched on the Radionomy platform. Watch Live Stream Of ‘Fantasmic!’ February 2! 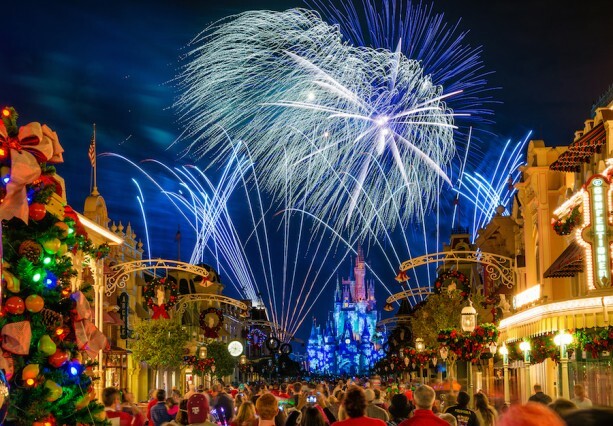 During the live stream of the Walt Disney World Resort’s New Year’s Eve fireworks, the Disney Parks Blog asked fans to choose what they will feature next in their series of Disney Parks Blog live streams. The top choice? Fantasmic! at Disney’s Hollywood Studios. As many of you know, the historic expansion at Disney’s Hollywood Studios will bring new, spectacular experiences to the park, including entire lands inspired by the blockbuster Star Wars and Toy Story films. Recently, the Disney Parks Blog shared that the park’s Star Wars-themed land will transport guests to a never-before-seen planet with new experiences that’ll include a customized secret mission on the Millennium Falcon and an epic Star Wars adventure that puts everyone in the middle of a climactic battle. And in Toy Story Land, Andy’s backyard will come to life and the famous little green aliens from the movie will take you for a spin in their very own flying saucers. A family-friendly roller coaster will also have you riding on the back of Slinky Dog. In order to bring the new lands to life, the first steps of the expansion will be happening soon. This morning, the Disney Parks Blog posted an article to let everyone know that Lights, Motors, Action! Extreme Stunt Show and nearby locations around Streets of America will be closing on April 2, 2016. The Lights, Motors, Action! Extreme Stunt Show attraction will continue its daily shows until the closing date. While the new areas of the park come to life, Disney will continue bringing new things to Disney’s Hollywood Studios such as the recent opening of Star Wars Launch Bay, the nighttime spectacular “Symphony in the Stars: A Galactic Spectacular” and Sunset Showcase. Disney's Hollywood StudiosLights Motors Action! Guest Article: Lots To Do at Disney’s Fort Wilderness Resort and Campground! Families are often looking for fun activities to do around the Walt Disney World property that don’t require a park ticket. My family enjoys heading over to Disney’s Fort WIlderness Resort and Campground. There are a ton of great activities and many of them are free! Chip and Dale meet and greet with their friends while you are entertained by a sing-a-long led by a singing cowboy. This is free to attend and you don’t have to be staying at the resort to enjoy the fun! There are fire pits where you can roast hot dogs and marshmallows. You are welcome to bring your own hot dogs and marshmallows if you want to save some money. Don’t fret if you don’t have supplies with you. You can purchase a smore’s kit for a small fee. We did this when my son was 5 years old and we had a blast! Can’t wait to go again. It is located over near the Meadow Depot and the times vary. We just called over the day we were wanting to go and asked about the start time. Here you can walk around and check out the stables where they care for the horses of Walt DIsney World, including those you see on Main Street at the Magic Kingdom. For the younger ones who are less than 48 inches tall, there are pony rides at $8. This is really a bargain because it is a fairly long walk. When we did this, my younger son was below the 48 inch mark and my older son was too tall so he couldn’t do it. This made my younger son so happy because normally it was him being too short to go on an attraction. He felt very special. The other nice thing about the pony ride is that the pony is led by the parent. It is just your family enjoying the experience together. Can you tell it was a highlight of our vacation? There are a ton more activities to do over at Fort Wilderness, but these all have costs that can quickly add up. There are wagon rides, carriage rides, archery class, and horseback riding. The dining over at Trail’s End Restaurant is wildly popular among Walt Disney World veterans for not only being very tasty, but reasonably priced. For some more high-spirited dining you have 2 great choices. You will also find the longest running dinner show in the world over at Hoop-Dee-Doo Musical Revue. There is also a Backyard BBQ with Mickey and friends as an easy way to meet and dance with some of your favorite friends. While we have never stayed at Fort WIlderness, we go over for a visit just about every vacation. It is an easy boat ride over from either the Magic Kingdom or the there is boat service that runs between the Contemporary Resort, Wilderness Lodge, and Fort WIlderness. I personally think the boat rides over to the resort are part of the fun! If you love hearing more about Fort Wilderness fun, I have a couple of episodes over at the DIStracted Life Podcast. Thanks for reading and I hope you have a MAGICAL day! Welcome to Memory Thread number 12 in the WDW Pensieve. At least once during our trip to Walt Disney World, we make it a point to catch the Magic Kingdom Rope Drop Ceremony. For those that have never experienced this daily event, you’ve been missing out.